Liberty Merchant Company invites you to the 1st Annual Best of the Northwest Beer Fest tasting event happening at the Wise Hall, 1882 Adanac Street, Wednesday, June 4th. The evening will feature craft beers from BC, Washington and Oregon along with tasty samplings from Commercial Drive food purveyors. Best of all, you get to select the winners. It truly is the perfect summer event. As an added bonus, this Liberty-sponsored event is in support of the Greater Vancouver Food Bank Society, which helps provides food for up to 25,000 people in need each week. All proceeds from both ticket sales and draw prizes directly support the Greater Vancouver Food Bank Society. The event kicks off at 7:00 pm and goes till 9:00 p.m. Tickets are $24.99 and available at all Liberty Wine Merchant locations. In East Vancouver, you can find Liberty at 1622 Commercial Drive (T: 604.633.1922). You are encouraged to bring a non-perishable food item on the evening of the event. 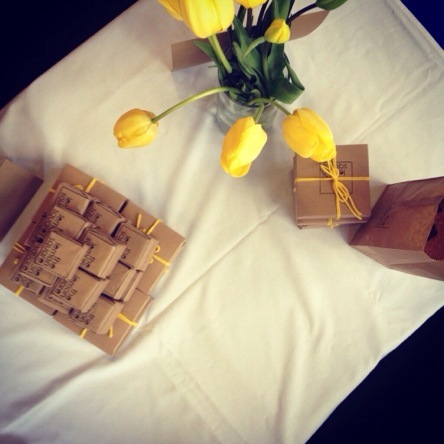 The Strathcona Business Improvement Association has embarked on an adventurous marketing plan. They have created Made In Strathcona Tours which will run two tours, one on May 31st and the second on June 7th. The tours are devised to showcase the community that is Strathcona including the history, the businesses and the people that make up this unique community. As they will tell you, over 500 businesses populate this area one. Some names you might recognize include JJ Bean, Endeavour Snowboards, Christine Lingerie, Aritzia, Herschel Supply Co. Of course, some recent additions include culinary hot spots such as Ask for Luigi and Yolk’s Breakfast and Commissary. Made in Strathcona Tours are being offered on Saturday, May 31st where the feature is Manufacturing and Hidden Gems and Saturday, June 7th where Creative and Food is the theme. Once you decide on the date, you need to choose which 2 spots you wish to visit. The tour starts at 1:00 pm at the first stop you chose and goes to 1:45 pm. Then at 2:00 pm you are to make your way to the next stop that you chose and that tour will take you until 2:45 pm. After your tour, you are invited to attend the Settlement Building (Vancouver Urban Winery), 55 Dunlevy Avenue (1 block North of Oppenheimer Park) for a complimentary drink and hor’ deourves at 3:00 pm. The tours are a very reasonable $10 and available in advance via Eventbrite. For readers of ILiveInEastVan.com, Made in Strathcona Tours is offering a 50% discount on tour tickets. Use PROMO CODE: “Blogger50” when purchasing your tickets for the discount. The Firehall Arts Centre, 280 East Cordova Street, presents The Art of Stealing beginning this Wednesday, May 28th. This show premieres new work based on the action of stealing. It is choreographed and directed by Amber Funk Barton who is also one of the performers. A gang of six survivors work together and against each other, striving to manipulate, compete and endure in a mysterious, post-apocalyptic world. This exploration of transformation, survival and death from critically acclaimed contemporary dance company, the response, uses Amber Funk Barton’s visceral, high-energy choreography to delve into the idea of stealing – what we take from each other, both physically and emotionally. The gang struggle between conflict and cooperation, but the ultimate thief in life will outlast them all. The Art of Stealing begins May 28th and runs to May 31st tickets start at $27 and are available online at Firehall Arts Centre. The Vancouver Farmers Market at Trout Lake is in full swing. This Saturday join them for their DigIn! Garden Festival which will include a market tour Meet Your Maker Growing Series. The tour begins at 9:30 am and runs for one hour. You will visit four vendors on topics such as seed-saving, beekeeping, carnivorous plants and growing dahlias. Tour members meet at the Market Information Booth at the west end of the market. Cost for the tour is $5.00. Tickets can be purchased in advance at Eventbrite. Note the tour will run rain or shine. 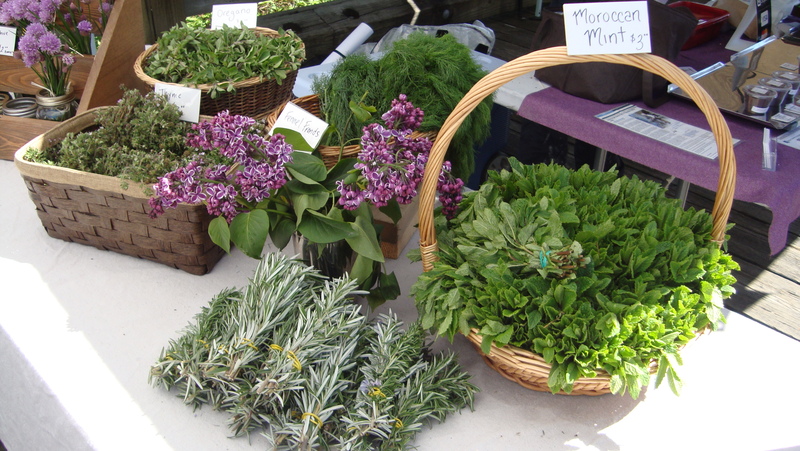 Trout Lake Farmers Market will, of course, have a great selection of local vendors from 9:00 am – 2:00 pm. Trout Lake Farmers Market is located in John Hendry Park at Templeton Street & 13th Avenue. Les amis du FROMAGE is hosting another delicious Pop Up Shop this Saturday, May 24th from Noon – 5:00 pm at their Strathcona location, 843 East Hastings Street. 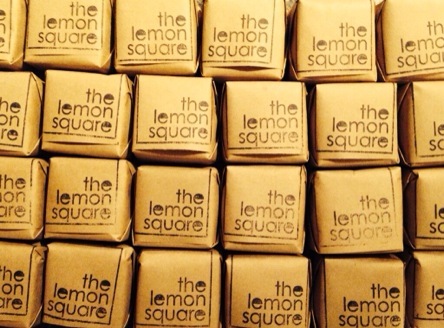 This time they have invited The Salty Cookie Company and The Lemon Square to showcase their baking talents. This is a great opportunity to show your support for these new local businesses. 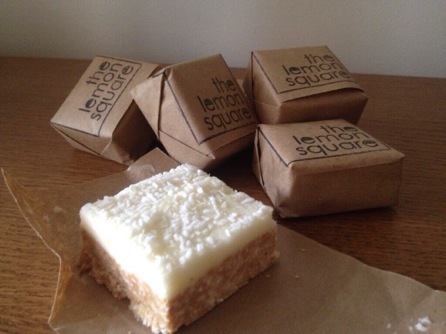 The Lemon Square makes handmade lemon squares with fresh lemons, butter and a dusting of coconut. Very addictive! The Salty Cookie Company is the brainchild of Meredith Kaufman who has been a pastry chef for many years. Come out and support these budding entrepreneurs! You are invited to come check out the Midtown Pop Up Shop opening May 26th to June 1st at 585 E. Broadway. This endeavour is a collaboration between those that bring you the Eastside Flea and the Chinatown Experiment. They will be offering a true brick and mortar experience as well as a place to hang out from 11:00 am – 7:00 pm daily. Opening day on Monday, May 26th brings you 35+ revolving regular Eastside Flea vendors. Tuesday you can partake in a T-Shirt to Tank Workshop hosted by Rish from 7:30 – 8:30 pm (RSVP required). Wednesday they have lined up a Glass Terrarium Workshop presented by Treehaus from 7:30 – 8:30 pm. Thursday, May 29th is a Summer Launch Party from 6:00 – 10:00 pm and Friday, May 30th will highlight Kristy Jacobsen’s Photo Show “Making Love To America’s Highways”. The Midtown Pop Up Shop is located one block west of Fraser Street and a 10 minute walk from Main Street. The shop will also include a lounge area and record listening station for visitors to hang out, stick around and browse all of the goods. The 12th annual South Hill Festival is back for another year and will take place on Saturday, May 24th from 12:00 – 4:00 pm. This community event celebrates the South Hill Neighborhood and is fun for the whole family with a variety of different exhibitors, live entertainment, a diverse food fair and networking opportunities with local organizations that showcase the diversity that makes up South Hill. It’s the final year the Festival will be happening and it promises to be fun for everyone attending. This year’s festival theme is “Food For Thought.” They will be celebrating sustenance that is local, sustainable, healthy and bursting with world flavours. You are invited to come out and see some community art, learn about growing vegetables, shoot a few baskets, climb the 24′ Wall, watch a variety of performers on stage. As part of the festivities this year the South Hill Business Improvement Association is hosting a Food Fair on East 47th and Fraser. The Food Fair will feature several local restaurants each offering a different culinary experience for everyone to enjoy. Also some great local musical entertainment including returning band lesismore and their opening act musician Dave Paterson. South Hill invites you to bring your family and friends to celebrate and explore a world of choices Saturday, May 24th Noon- 4:00 pm.